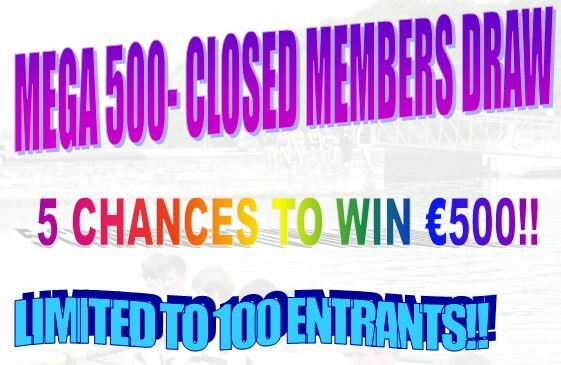 We are running a MEGA 500 – CLOSED MEMBERS DRAW where each of the ticket holders has a chance of winning €500 any week of the 5 week term of the draw. Each week 1 winner will win €500 – the draw will run for 5 weeks. You have an Equal chance every week as all 100 numbers are put back in the drum for every draw, whether it’s a winner already or not!!! Tickets are going fast so get yours now at the café or by ringing 0876592134. Tickets €50 for entry into all 5 draws. The Annual President’s dinner will be hosted by club President Gerry Buckley on Friday April 28th at 19:30 in Club Brasserie, Lapp’s Quay. Tickets at €50 are available from the club cafe every weekend or at any time from any of the committee or coaching staff.